Ireland has something for everybody. If you have never been before, accept the fact that whatever you do and wherever you go, you will have a good time. It is a country with friendly people and a happy outlook, even if the weather does not always co-operate. Over the past 15+ years we have frequented Ireland regularly from the UK for 5-7 days at time. Each time we pick a new area to do an in depth exploration. We still have not run out of new places to see, nor have we tired of seeing some of our favorite spots again and again. And you will find that an area seen in the sun is a whole different place from what it looked like in the clouds and rain. Some places actually take on a mystical quality in the mist. Warming yourself at the end of the day by the roaring fire in your castle hotel or a friendly pub makes for those memories that last a lifetime. There are as many ways to see Ireland as there are places and things to see. There are tours to glimpse them all, tours with more depth in an area, and sheer adventure tours. We have selected the best tour operators with quality local expertise. So why not get started? 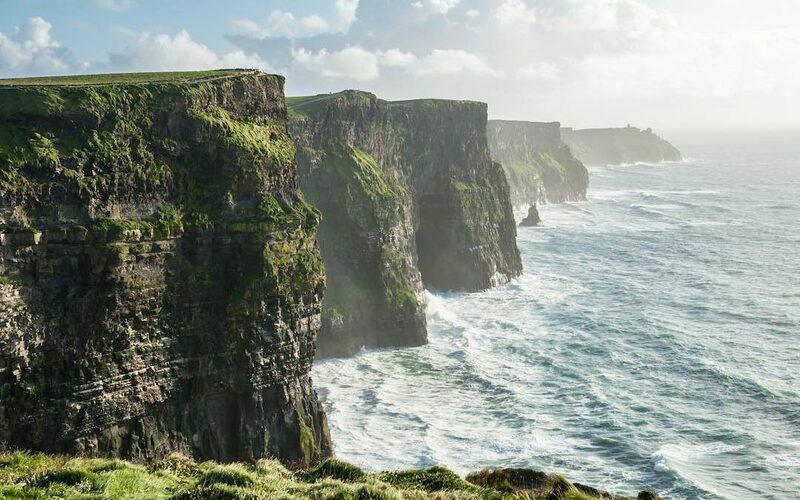 Here are some options for your consideration: View Tours of Ireland..